Shopping for electronics and gadgets in New York is fun and often cheaper than in Australia. There are many shops that are worth visiting, even if you don’t plan on spending much. When shopping for electronics, remember the prices on display don’t include the New York taxes (8.875%) and this will be charged at the check out. 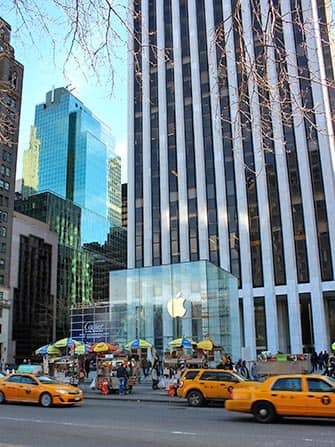 One of the most important things to bear in mind is not to buy electronics and gadgets in stores around Times Square and the Empire State Building. If the store happens to also sell souvenirs, run as fast as you can! These shops will lure you in with low prices and once you’re inside will tell you that the item is sold out and try to sell you something more expensive. Products may have been used and they won’t inform you, and most of the time the products are not under warranty. Don’t gamble with your money and buy only at authorised dealers. 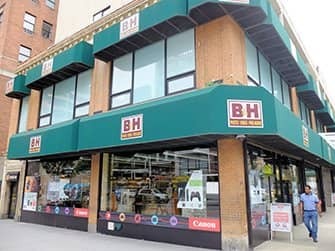 B&H Photo is a dream come true for any photographer and photography enthusiast. They have a wide selection of cameras, lenses and accessories with good prices and very helpful staff. You will also find computers, audio and video devices, phones, tablets and other electronics but their speciality is photography equipment. Note that they are closed on Fridays from 14:00 and on Saturdays in observance of the Jewish Sabbath. You can receive a free gift with an in-store purchase of $50 or more. Show this code E209744 and your receipt to the employees at the tourism desk close to the exit to receive your free gift. If you want to buy an iPhone, iPad, iPod or any other Apple product you should go to an Apple Store. You’ll be buying genuine products with warranty. 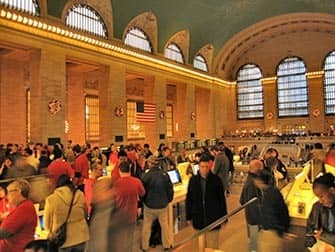 Plus, if you go shopping at Apple Store on Fifth Avenue or Grand Central Station you can admire the wonderful design of the shop itself. Hammacher Schlemmer: What started out as a hardware store in 1848 is now one of the most unusual and fun places to shop in New York. Here you’ll find phones, computers, tablets, cameras and many other electronics. But, most notably, all the gadgets you can find at Hammacher Schlemmer: electric wine openers, ear muffs with headphones, portable mini-washing machines and many other things you don’t actually need but might find yourself tempted to buy. This is a great place to buy gifts and they have lifetime warranty on many products. Best Buy is one of the largest retailers in the United States and a competitor of Amazon. 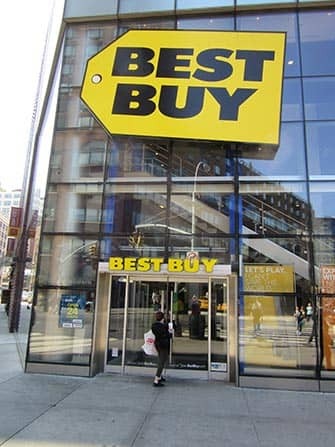 Best Buy focuses on physical stores, while Amazon is operating mainly online. 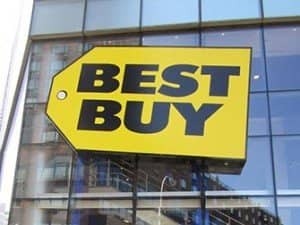 In New York, Best Buy has 10 stores where you can shop for computers, TV’s, cameras and mobile phones but also dishwashers and coffee makers. This is one of the few places where you can buy pre-paid phones and sim-cards. Eric’s Tip: Please keep in mind that US electronics run on 110 volts and have a US outlet, so don’t forget to get an adapter when you get home. Also good to remember is the customs allowance of max A$900 for adults and A$450 for younger than 18 years of age when bringing goods with you from outside Australia.